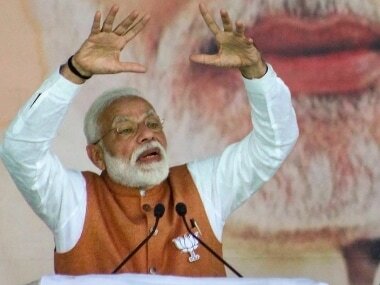 Prime Minister Narendra Modi’s speech at Wardha, the setting for Mohandas Gandhi’s experiment with ‘nai talim’ (new education) and still home to an ashram, should attract the attention of the Election Commission (EC). The point of entry into what can conceivably be called deeply divisive speech was the proposition that Hindus are ‘known for peace and brotherhood’. ‘Nowhere in history will you find they’re involved in such subversive activities [read terrorism]. Even the British never mentioned them as terrorists. But former minister Sushil Kumar Shinde made a statement during the United Progressive Alliance regime that Hindu terrorists were behind the Samjhauta blast.’ In all, one newspaper counted, Modi used the word ‘Hindu’ eight times and the phrase ‘Hindu terror’ five times. It did not record how long the speech lasted, however. This premise was then made the basis of an attack on Congress president Rahul Gandhi and his party. 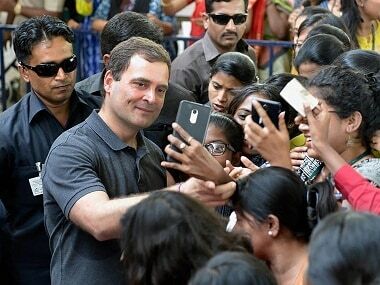 The burden of Modi’s song was that having alienated Hindus by using the term Hindu terrorism, Rahul fled to contest from Wayanad, where Hindus comprise only 49 percent of the population. The fundamental premise underlying Modi’s speech is communal, divisive, and incendiary, and could be construed as having ‘promoted enmity between communities’. We shall get to that in detail in a while. But first a lesson in history would be in order for the BJP’s leadership. First, it is completely untrue that the colonial rulers never designated ‘Hindus’ as terrorists. To be sure, they did not do so on the grounds that some people involved in ‘terrorist’ attacks happened to be Hindus, but an entire stream of the nationalist movement actually came to be known as ‘revolutionary terrorism’. This tag was worn by many nationalists with pride, but the colonial rulers who called Khudiram, Benoy, Badal, Dinesh and many others ‘terrorists’ used the word pejoratively, of course. ‘Revolutionary terrorists’ were prosecuted under the most stringent of laws and many were executed. Then again, it is important to stress to the BJP that a man who was Hindu — Nathuram Godse — murdered Mahatma Gandhi in an attack that can be called nothing but terrorism. The fact that Godse assassinated Gandhi does not, however, reflect on all Hindus, or even a majority of them, just as the activities of Wahhabi Islam-inspired terrorist organisations do not reflect on Muslims. The term Hindu terror is as meaningless as the term Islamist terror. Let’s get closer to our times for a bit. Over the past four-odd years any number of Hindus, both individuals acting ‘spontaneously’ or organised under criminal umbrellas, have lynched people, usually, but not always Muslims, on the suspicion of slaughtering cows or even transporting cows on eminently legitimate business. In this they have been encouraged, and often incited, by the BJP as a whole or individual members thereof. What name do we give to ‘beef vigilantism’? Is it not a form of terror-mongering? Two other points must be cleared up. First, Shinde. As Union home minister, he issued a statement in 2013 accusing the BJP and RSS of fanning ‘Hindu terrorism’. The use of the phrase in the context of the Samjhauta blast, and the attacks on Mecca Masjid and in Malegaon, was undoubtedly wrong-headed. But in the course of the interview in which he used the phrase, he clarified categorically that what he was talking about was ‘saffron terrorism’: ‘Reports have come during investigation that BJP and RSS conduct camps to spread terrorism,’ he said. That statement, in the absence of proof and with investigations ongoing, was also objectionable, but is not the same as accusing Hindus in general of being involved in terrorism. As a matter of fact, BJP ministers make statements compromising investigations all the time. A recent example is Uttar Pradesh chief minister Yogi Adityanath’s statements on the murder of a police officer in Bulandshahr. Second, the point, for the purposes of this argument, is not the guilt or innocence of Aseemanand and others, acquitted by a special court on 20 March. Neither would reflect in any way on ‘Hindus’. But it is significant that just over a week later, on 28 March, in the just-released judgment, the judge was recorded as having said that he was pained and anguished that the dastardly act had gone unpunished. "There are gaping holes in the prosecution evidence and an act of terrorism has remained unresolved," the judge wrote. 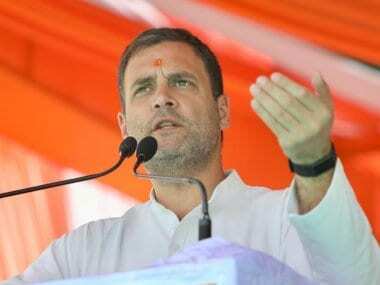 ‘The Congress tried to tarnish crores of people of the country by using the term “Hindu terror,” Modi declaimed, before accusing it also of tarnishing the country’s ‘5,000-year-old’ culture. 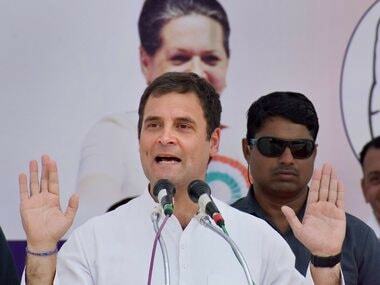 The Congress ‘needs to be taught a befitting lesson for insulting the Hindu community’ he added. 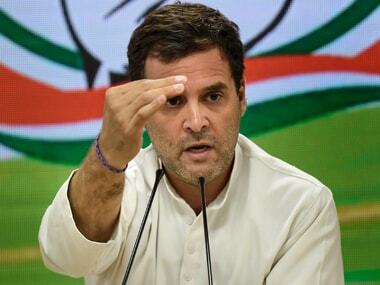 He then made the accusation that Rahul was escaping to Wayanad "where the minorities are in a majority as he knew that people wouldn’t spare him for insulting the Hindu community". The assumptions in this statement should be examined by the EC. First, there is no evidence that Rahul ever insulted the ‘Hindu community’, if such a thing exists. Second, Modi stereotypes all minorities as Congress voters, which they are not. Minorities can, and should, take exception to this characterisation, which pits them in an adversarial role against the majority community. If this does not amount to promoting enmity, nothing conceivably does.